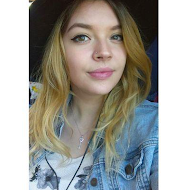 Two Hauls in one week - is that even allowed?! 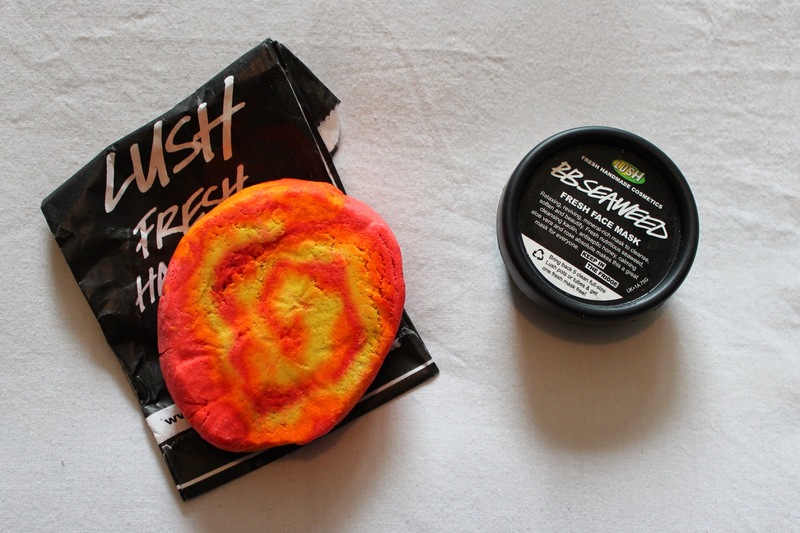 Anyways, last weekend I went into town and while I was there I popped into LUSH to have a look around! I actually didn't need anything, as per usual, but what can I say - I just couldn't resist getting something! I was really drawn to the Bubble Bars. I've read so many reviews about those in the last few months so I decided to give some a sniff! It's been a while since I've bought any LUSH products for myself, so I had a proper look around in the store. The Bubble Bar I went for is called "Brightside". 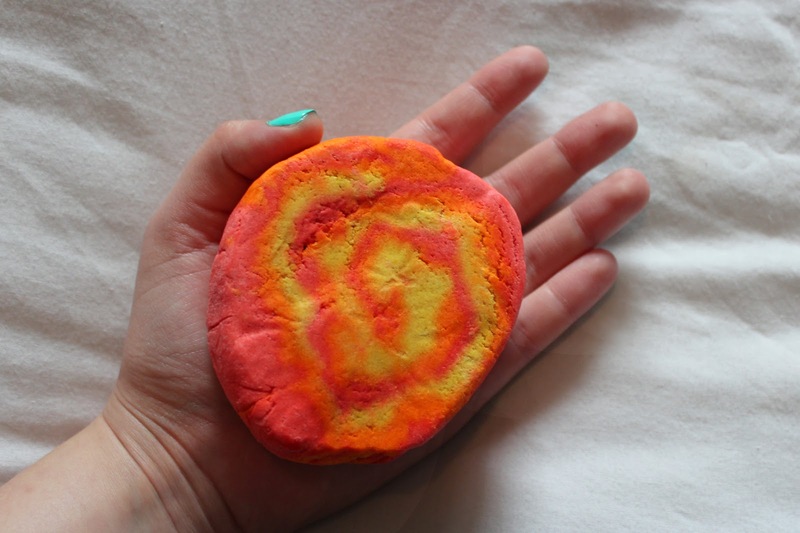 It's an oval about palm sized bubble bar with a bright orange colour and swirls of yellow and red through it. It has a citrusy scent, like fresh oranges and lemons, and just smells really refreshing. Brightside contains three different oil extracts, from mandarins, tangerines and bergamots, which also give it it's lovely scent. I've payed £4,50 for it which I think is okay for it's size. It states that this product will be large enough for two baths, but I reckon I could get more uses out of it, by breaking it into smaller chunks. I've seen the lovely Jone blog about this product and ever since I wanted to try it! I literally can't wait to pop this into my bath and just relax with a good book in my hands! 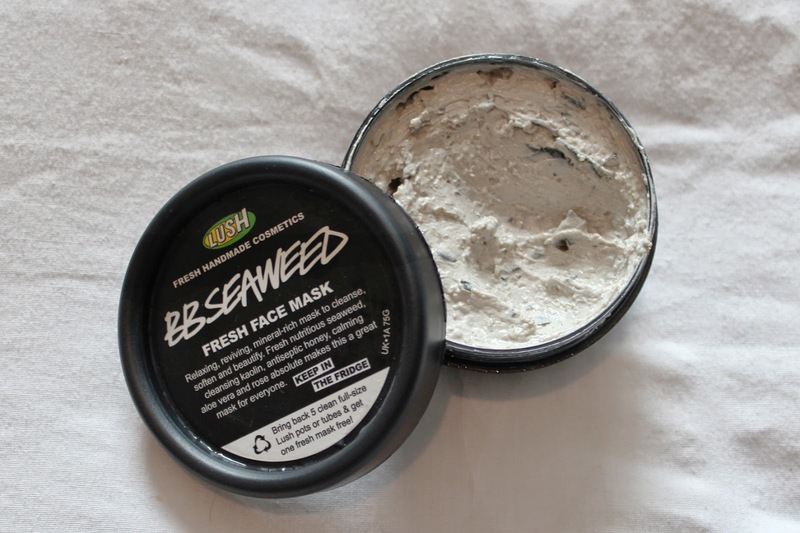 The seconds product I got is the "BB Seasweed" Fresh Face Mask. I've been having a but of trouble with spots as of lately and I'm not sure if it's just hormonal or has something to do with the products I use. Anyways I thought it would be nice to have something natural for cleansing for my face. It may not be the prettiest mask of all but I tried it on my hand in the store and could really feel how cleansing and exfoliating it is. 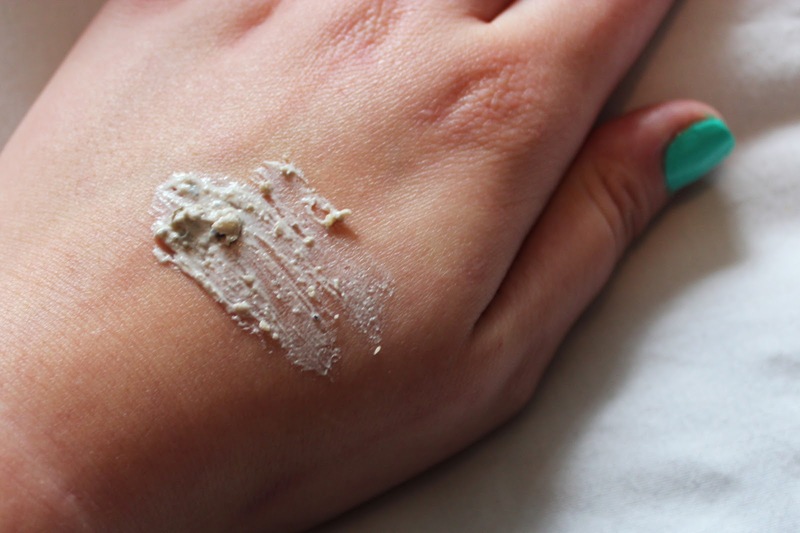 It contains little chunks of seaweed, kaolin, antiseptic honey, calming aloe vera and rose absolute. To me it smells like roses and seasalt. This was a bit pricier at £6,25 for 75gram but I'm looking forward to trying it and if it makes a difference! The lady in LUSH actually let me try another mask which contained garlic and even though it didn't smell strongly of it, I went for the seaweed mask. There is just something that put me off the garlic mask - just me haha? And that's all I got from LUSH! I hope you enjoyed this little Haul. I'd love to know what your favourite LUSH products are so please leave me a comment!